HONK—it's that time again. Nvidia's latest 'Game Ready driver' is available to download. You can get it directly via the Geforce site or via the Geforce Experience application. This handsomely named Game Ready 411.70WHQL driver offers to improve "performance and stability" in Assassin's Creed: Odyssey, FIFA 19, and Forza Horizon 4, which Phil liked very much indeed. The driver also supports Nvidia's new Geforce RTX cards for fans of flaming tanks perfectly reflected in the eyeball of a shellshocked soldier. 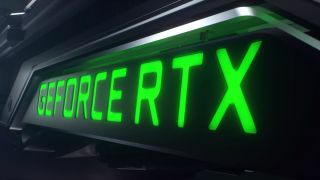 For more on ray tracing and deep learning super sampling tech check out our RTX 2080 Founder's Edition review, or enjoy the high-tech lighting and reflections in the Geforce RTX Battlefield 5 trailer below. If you have an AMD card, fret not. The 18.9.3 Radeon GPU driver was released into the wild just hours ago.